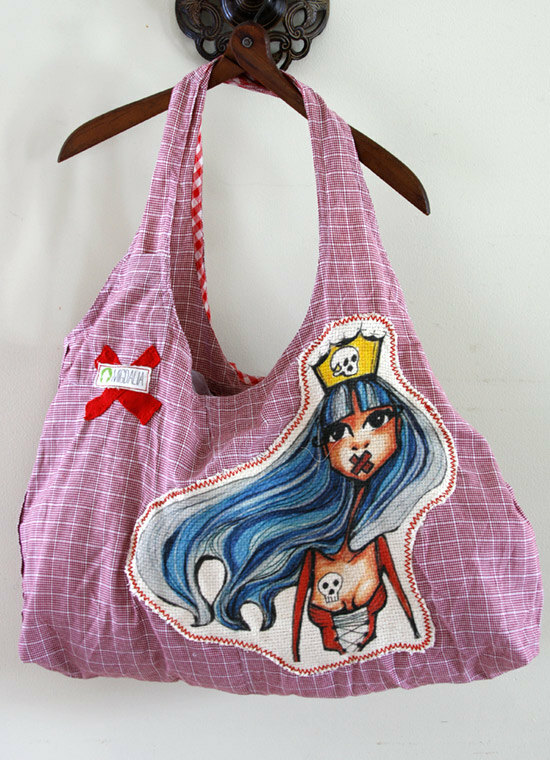 Oh my glory, you are going to love this tote bag from Migdalia. 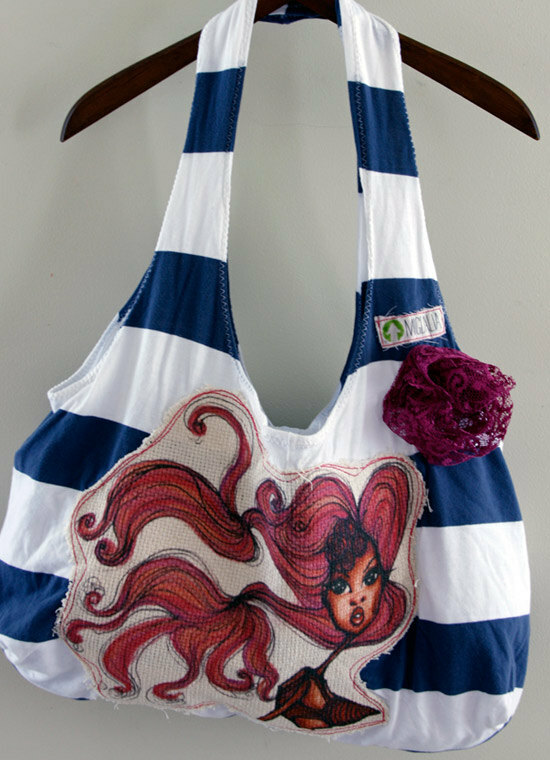 Made of upcycled fabric, it is beyond what you are going to come up with on your own crafting at the kitchen table. I will admit to you right now that I usually give the product review items back to Upcycle Magazine so that they can use them in a give-away for their fabulous readers. Well, don’t tell anyone but I am keeping this bag! My cell phone and wallet are inside and they are staying there. The review bag is made from a vintage green and white shirt (green just happens to be my favorite color). I love that they kept elements of the shirt intact like the buttons and the pocket are still there but sewn shut. There is a pocket inside the bag and the handle is reinforced with coordinating binding. Functionally, it is just right but I haven’t told you about the best part. 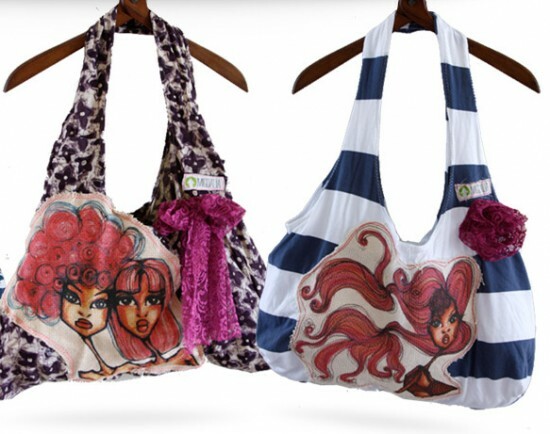 Each bag has a piece of absolutely awesome fashion illustration on one side. The illustration is created by artist Migdalia and you will love her work! She has a large variety of illustrations to choose from. Everything from edgy to appropriate for church or synogog. You will easily find something you like. Go check out Migdalia at www.recyclemybag.com.